Preparations for the 2019 state of the nation address well under way in the parliamentary precinct. Photo: Supplied by GCIS. The tourism industry’s performance has apparently been on the decline, prompting them to ask for funding as well. 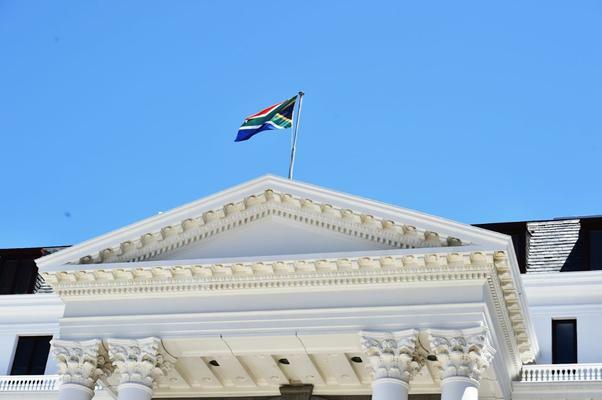 Ahead of President Cyril Ramaphosa’s state of the nation address (Sona) on Thursday, South African small and medium enterprises (SMEs) have urged the government to prioritise and invest more in the SME sector in a bid to create more jobs and grow the economy. Karl Westvig, chief executive of SME business-funder Retail Capital, said the SME sector was the lifeblood of the South African economy, but it had been taking significant strain in the last couple of years. Westvig said he would like to see a significant increase on the R1.5 billion investment in the Small Business Fund that Ramaphosa announced during last year’s Sona, and also for government to demonstrate how this investment had been applied. “SME’s have been squeezed by rising costs and lower sales because of over-indebted consumers and a sluggish economy. We would welcome added investment in the SME Sector and lower utility costs. Government needs to support SME’s through access to finance, a lower regulatory burden and lower electricity and fuel costs,” Westvig said. Enver Duminy, chief executive of Cape Town tourism, said the tourism industry had gone out to invite tourists, but tourism performance had been on the decline and forward projections did not appear to give any more guarantee that things would improve. Duminy called for the government to assist in achieving inclusive growth in the tourism industry. “What that entails for the hospitality sector includes following through with the clarity around barriers to entry, including the visa and unabridged birth certificate regulations,” Duminy said. “We’ve noted that while this process could have been concluded years ago, there have been delays due to various changes of leadership in government departments, to the detriment of economic growth.